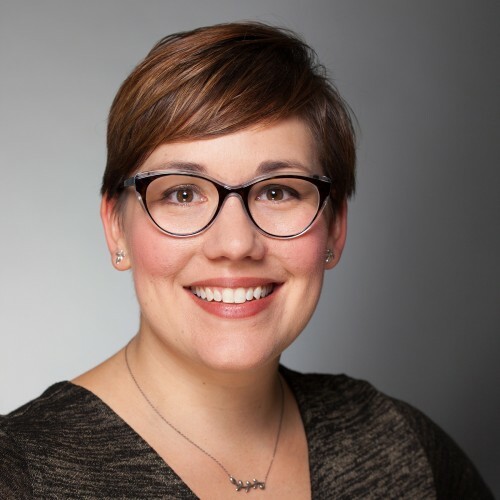 The State Library of Ohio is pleased to announce that Erin Kelsey has joined our staff as Library Consultant for Library Development. Erin’s responsibilities include special projects such as coordinating ILEAD USA Ohio and supporting Library Leadership Ohio. She will also consult with State Library staff, libraries, governmental agency employees and statewide professional groups on training needs and development of training opportunities. Erin will assist public libraries in their strategic planning process and foster ongoing collaboration and knowledge exchange among Ohio libraries. Active in her profession, Erin has published and presented on the state and national levels through conference presentations and webinars with the Public Library Association, Ohio Library Council, and Ohio Educational Library Media Association. Erin comes to us from Westerville Public Library where she was an Adult Services Manager for two and a half years. Prior to that, she worked at Worthington Libraries as an Adult Services Librarian for one and a half years and then Lead Librarian for nearly four years. Erin earned her Master of Library and Information Science from Kent State University and a Bachelor of Science in Journalism from Ohio University. She was selected and participated in ILEAD USA Ohio in 2017 and Library Leadership Ohio Institute in 2016.